A proper dust collection system is what separates good workshops, factories, and manufacturing facilities from great ones. Further, a well thought out system will provide a safer work environment resulting to lesser time cleaning your workplace and more time focusing on production. Dust collections systems when designed and installed properly have a positive effect on your bottom line and work environment. It holds the potential to enhance safety, increase efficiency and reduce costs, especially when used to their full capacity. Inhaling airborne dust at work exposes your workers to risk of occupational diseases such as cancer, asthma, allergic alveolitis and irritation, as well as a whole range of non-respiratory illnesses. Keeping dust at a minimum in your workplace decreases the risk of lost production, higher insurance rates and lawsuits. 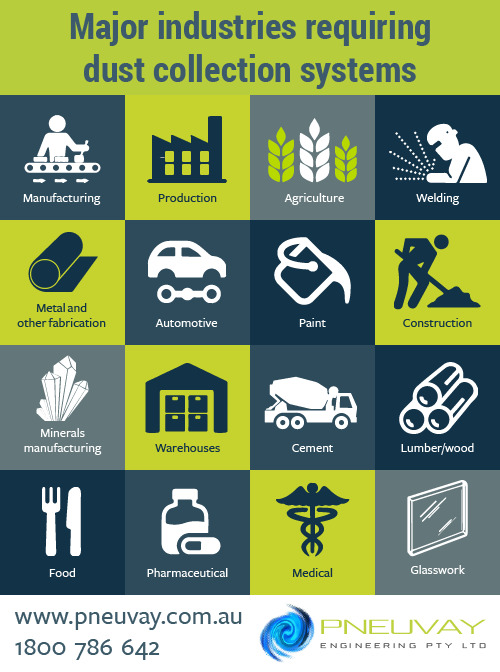 Learn more about the various ill effects dust can bring to your workplace. Dust can react with things around it and can either catch fire or explode. Thus you have to know the KSt factor of the dust your facility produces. Knowing this will help identify the explosive characteristics of dusts accumulating in your workplace. 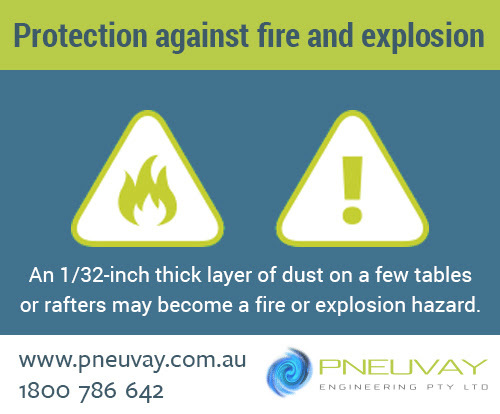 Read more about the dangers dust can bring to your workplace in this article. Minute as it can be, dust has the power to interrupt or reduce production, draw fines and trigger penalties for your business. With dust collection systems installed in your workplace, you are not only getting rid of the chunk of dust your workers have to inhale everyday; but you also keep your entire workplace clean and more efficient. Lesser destructions and cleaner air helps your workers to focus more on their tasks, rather than sneeze, cough and get distracted with allergens sticking on their skin. Airborne dust finds its way into finishing areas causing defects in the final product. This is bad, most especially for the pharmaceutical and the food industry. Choosing an efficient dust collector system ensures you will not have to worry about anything like this. 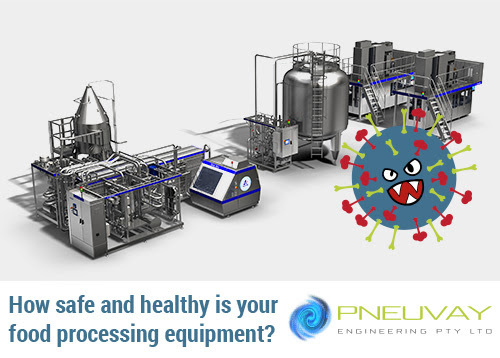 Read our article regarding best practice guide for pneumatic conveying systems in the pharmaceutical industry to learn how we can further help you. Whilst some dust collectors come standard with a control panel that will continuously and automatically pulse filters with compressed air every 10 or 15 seconds, Donaldson's dust collector systems gives you the power not to do so. You are given the freedom to clean it as you need it thus saving you from unnecessary costs. Learn more about the dust collector systems we have designed and installed for industries. Visit our completed projects page. How efficient is your dust collection system? Check if the ductwork is old, cracked, leaking or of insufficient capacity. Do the elbows and connection points carry the air efficiently? See if the collector inlet has the power and filtration needed for your system. Does it have a backup system or does it frequently need extra maintenance? Inspect the size of the capture hoods. Is it oversized or undersized? Do you have the correct number of hoods to carry the maximum load you produce? Is it correctly shaped for the type of material it captures? Will a different configuration better benefit the system? Consider thinking if you need a bigger or a smaller filter, depending on your needs. However, it is important to remember that upgrades to filter systems has proven to be more economical as it boosts your dust collection system whilst reducing energy cost. Is it time to have your dust collection system undergo a mechanical overhaul? Check the timers in the filtrations system, bags and filters, diaphragms and solenoids if it is still functioning efficiently. Do you need help in evaluating the condition of your current dust collection system? We are happy to help. Call us at 1300 721 458.